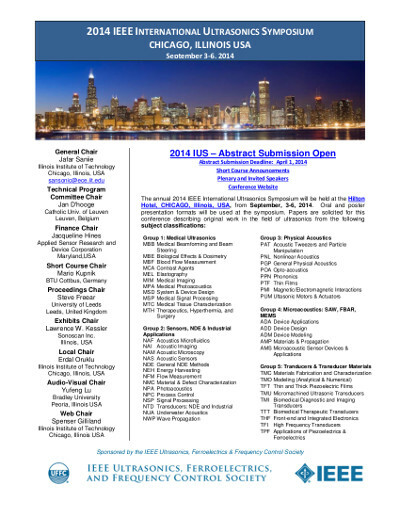 Papers describing original work in the field of ultrasonics are being solicited for this conference. Both poster and oral presentation formats will be used at the symposium. Prospective authors should note that poster sessions provide an alternative format which allows for greater flexibility and expanded audience interaction. In these three sections authors must clearly explain the motivation and background, the contribution of the work, methods, and the results and conclusions of their research. Papers are solicited from the following subject classifications.